Greetings of the most high, we come forward now in this moment of your time, on wings of deep gratitude and inspiration. We have so much to share with you today, so many good tidings and messages, specifically designed to activate and stimulate the higher consciousness organs that reside in your physical body. We come forward on wings of deep peace, bringing through this transmission on the day after the most wondrous news that the DAPL pipeline construction has ended, and the Missouri River shall remain pure and pristine for generations to come. We come forward bowing to you, most illumined Starseed and light workers acknowledging your tenacity and steadfastness with regards to bringing this huge eco-socio political issue to its final and successful conclusion. Beloveds, it was your prayers, your intentions, your unwavering visualisations, and of course the actions of the brave ones on the front line at standing Rock that initiated this transformation in the timeline, indeed this event marks the end of a brutal history of abuse and neglect and denial of the indigenous planetary guardians who have impeccably held gaia's well-being at the centre of their living hearts. A new era is emerging, whereby all the races of the earth are uniting under one flag, one nation. The rise in consciousness of humanity has never been so evident as in the circumstances that have been being played out at standing Rock, and we from the higher realms are in awe of all of you, our beloved brothers and sisters clothed in human flesh. Dear ones, this outcome is indicative of a deep transformation that is occurring in many of your own personal timelines and is largely due to the tenacity and commitment you have demonstrated to align with “the way of living light consciousness”......... To the ones with whom we speak to in this moment please know, there are vast and profound shifts taking place in your timelines, and, at the moment many in the twin flame community are experiencing miraculous meetings and reunions with their bonafides identical vibrational counterparts. Dear ones, we know these words are resonating for many of you, and these shifts are largely due to the incredible gatherings that are taking place at the moment. Please remember that as starseed, lightworkers gather together to clear out, release and purge old damaging beliefs from all their energetic systems, a pristine space opens up to allow the blueprint of the ascended being to enter and settle into the energy fields of all those gathered. Of course this is extremely powerful work to do alone however when these actions are initiated in an enlightened group setting, this exponentially increases the potency and the frequency of the intentions. On this date our beloveds channel has been powerfully instructed to gather together a circle of planetary elders to implement and activate the 12 stranded DNA helix back into the human consciousness energy field. This template is currently hovering in the 4D consciousness at the moment and is awaiting this portal date,to fully anchor and ground into the third dimensional electromagnetic field. Dear ones,it is imperative that as many starseeds and lightworkers as possible, gather on this activation date, as we are the four runners in this template, and are activating the blueprint which will enable the rest of our human brothers and sisters to align with this blueprint with far greater swiftness and success. On this date we have also been instructed to assist the masculine polarity counterparts to finally open their third eyes in order to come into recognition that the one who stands before them is in fact their divine vibrational counterpart. As we have stated before the masculine counterparts have requested assistance from the twin flame collective, as for many of them, the journey into Samsara ~ the illusion, has been far more convincing than originally believed. Therefore it is appropriate and necessary for us to gather on this date to offer them profound soul assistance to awaken, and come into full recognition of their divine beloveds. This is a most potent activation and will affect the collective twin flame trajectory, however for those who come forward to be part of this master circle please be aware there will be shifts in your unions which previously have only been dreamt about. Dear ones, if you resonate with these words and feel that your counterpart requires personal assistance to come into alignment with the recognition codes, we urge you to come forward and be part of this activation. 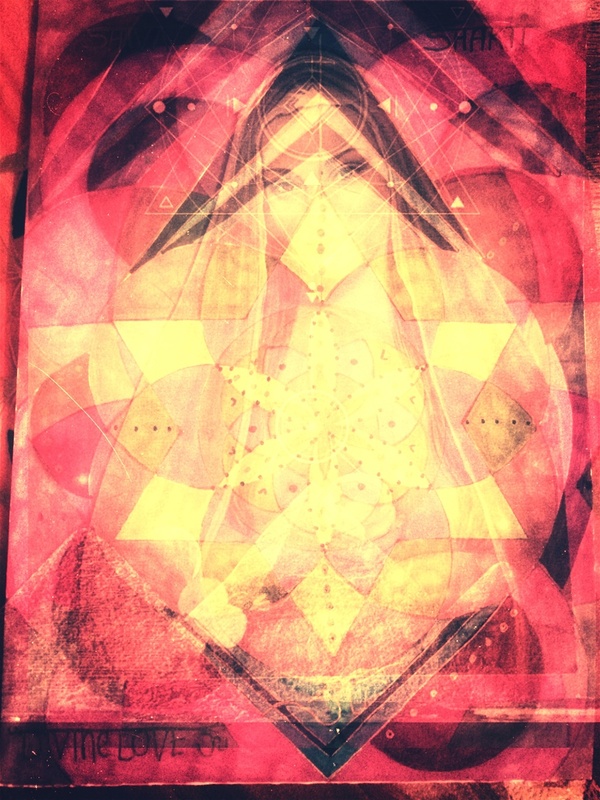 We are experiencing profound shifts in the timelines of many of those who are part of this twin flame master circle, and the results are way beyond what we previously conceived was possible, with many of the participants very often being contacted by their so-called “runner” twins, often times during the activation, and in many cases just after the activation.This is an extremely pure group to be involved with on an energetic level and this is the reason why the results are so profound and swift for many of the participants. The 12:12 gateway is very much aligned with the light dispensation that is set to occur at the time of the winter solstice whereby another huge solar flare and a photonic light bombardment will exponentially affect the living consciousness of earth and all her children, as we have stated many times before, these light dispensations will continue to increase in intensity and this is why it is essential to have the support of an enlightened Ascension group during these upgrades. We love you very deeply beloveds, and are in awe of all of you... most illuminated Starseed beings, whose purity of heart and soul is clearing the way for the full ascension of gaia and all her children. as ever the master key is to stay present and to train your mind to cease its addiction to endless descriptions. Listen to the birds sing and gaze at the beautiful sky….. salvation can only be claimed by one who unflinchingly remains present………..
We bow to you dear ones…..
Greetings of the most high in this most auspicious moment of now... We come through to you, still very much in the 12:12 gateway, which witnessed an opening in the electromagnetic seal that surrounds the earth plane. This is enabling the dispensation of photonic light that is being sent out from galactic central to infiltrate very easily into the earthly atmospheric grid via the sacred sites of the planet. The main portal that is being impelled to harness this light dispensation at the moment is the north pole. The light particles are pouring forth and penetrating very deeply into the core of the central point on the earth grid at the north pole, and is spreading out in a highly succinct manner, to all of the other sacred sites on the planet. Namely the Pyramids of Egypt and the Sphinx, Stonehenge and Avebury,Machu Picchu and the Himalayas……., This light dispensation activity brings with it yet another round of vibrational upgrades for Gaia and all her children. During this gateway many sacred souls have been gathering on the earth plane to harness this light dispensation, and it is our greatest joy to report back to you from the higher realms that a stellar job has been made by all of you whom have gathered in these master circles. These powerful awakened ascension groups have been working ardently with the Elohim- the great Council of light, who are the overseers of these light dispensations. Beloveds this union of the higher light masters and the frontline Ascension Pioneers has activated a timeline jump for the first wavers, and there are no words that can adequately express our jubilation in sharing this most wondrous news. The collective consciousness of Gaia has now jumped from the timeline of separation to the timeline of Union. Beloveds this is a highly fortuitous set of circumstances to behold, particularly for the first wave Ascension pioneers, who are currently preparing ardently on a vibrational level to be in physical union with the beloved twin flame divine vibrational counterparts. Many of the illumined twin flames are noticing this as a definite and specific intensification of synchronistic events with regards to all aspects of their twin flame connection with a marked increase in frequency and intensity of dreamtime visitation, and a knowing that the physical realm is currently in an energetic state of flux which enables the higher self codes to configure swiftly, magically and coherently into the earthly plane. This timeline jump, brings with it the most wondrous tidings and the most wondrous experience of brand new doors opening for many of you light workers. There are many of you among us who are highly attuned to the subtlety and potency of this timeline jump and inside will be leaping for joy knowing that this is the final furlong for many of the illumined ones. This is the home stretch so to speak. The fundamental soul lessons have been faced and in many ways mastered, you have fully accepted and embraced the knowing that this moment is all there is, and you have remebered that your perception of events is always an interpretation….. A made up story often times derived from the realm of ego consciousness, designed to ensure your unavailablity to dance, meet and merge with the glory of moment. Beloveds please know we are so excited to gather with you today, in this sacred way, that we may converse about the highest and purest frequencies, unified by our burning hearts, desire to serve Mother Father God. We see you Oh illumined ones, Wise ones, Ancient ones, Volunteers Souls who heard the call to once again return to the green and blue bejewelled treasure in God's most loving heart. We see you, we know you, you are safe, there is no separation, know that what once existed beyond the Veil is no longer beyond the Veil. For in truth there has never been a veil, The veil is a construct of one who has forgotten, forgotten the truth about who you you are. We gather with you tonight in this most auspicious energetic gateway, approaching the December solstice ……….please know that we dance with you in your dream time, and forever in the ether….the sacred ether, whereby the cohesion of the divine presence is alive and thriving, and sending out messages and information from the part of you that never ever left the super consciousness field. The part of you that is awake and available to serve. Dear ones our beloved channel will be facilitating her final transmission of 2016 on 21st December 2016 at 6 PM UK time. In this gathering we are being instructed to align with the highest stream of diamond God consciousness codes that will be flooding gaia on this particular gateway alignment. You are wholeheartedly invited to join your sacred presence with this planetery master circle, who are being instructed to act as living conduits and emmisarys for this extremely pure and potent light dispensation. The gateway was opened on the 12:12 which saw the full activation of the 12:12 strand DNA helix template which was anchored safely and succinctly into the third dimensional plane. This has now created the Optimum energetics to receive the next wave of upgraded ascension frequencies. Please note that the diamond codes are celebratory in configuration and are very much aligned with the christos frequencies, which, when embodied, manifest as health,abundance, success, fortuitous meetings, and an increase in synchronistic activites. Brand new Doors are opening for many of you now beloveds, coupled with an underlying knowing that it is the hands of the divine that is directing your every moment. Dear ones, the potency and the power of the group that we refer to is increasing at an exponential level as there is a strong and solid core of light workers harnessing these highest ascension frequencies onto their specific grid points. This is activating very swiftly and succinctly a firing up of the electromagnetic Grid that surrounds Gaia, and please know Gaia very much needs her grid to be fired up in these times in order to assist her to receive and attune to the ascension frequencies that are pouring through, during this important energetic gateway. These frequencies are clearing out old programs from the personal and collective consciousness field enabling an alignment with the 5D paradise template that is currently activated and thriving. Taking part in these group transmissions deeply assists you to attune and stabilise in the higher fifth dimensional frequencies which is akin to knowing that you have arrived home at the deepest and most significant level of your being. It would be our greatest honour to welcome you, fellow light worker into this core planetery master circle, where you will receive unconditional love, recognition and deep and profound soul support by our beloved channel and all the other fellow light workers in the group. We are the 144,000 bird tribe illumined twin flames, we have returned as all of the prophecies have foretold. We are the ones we have been waiting for. We are the masters, the teachers, the wayshowers and the guides. We are the awakened ones returned, to serve and keep on serving God's grace and God's presence. Seasonal greetings to you all. We come through at this time with exciting tidings to share, important news from the higher dimensional realms of consciousness, regarding some of the specifics of this energetic gateway that we are in as a collective. 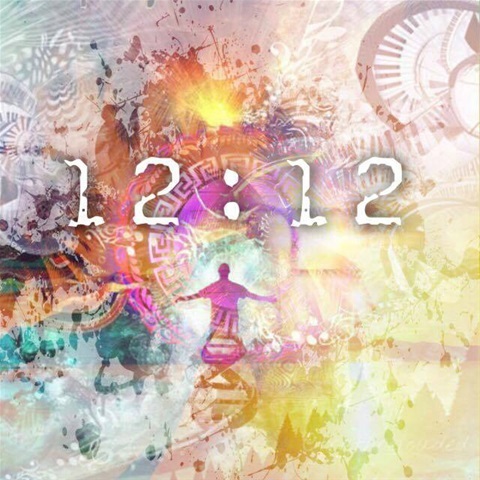 As we stated in our last sacred written transmission, the 12:12 gateway saw the coming together of many high vibrational light workers, who, succinctly and masterfully anchored the 12:12 strand DNA helix into the third dimensional field. This has created the optimum conditions for the next wave of light dispensations which are set to occur on the third dimension, at the time of the winter solstice in the northern hemisphere. On this date Gaia will be aligning with an influx of photonic light particles that are diamond in configuration. 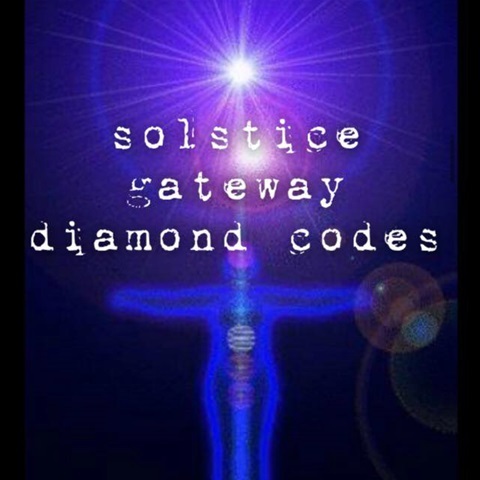 These diamond codes are vibrationally identical to the fifth dimensional Ascension codes, and are very much aligned with the Christos frequencies. The most proficient way for us to illustrate what is happening on this date is to invite you to imagine an iPhone which periodically receives messages that it is time for it to receive an IOS upgrade. Beloveds this is exactly what will be occurring during this energetic gateway, the diamond codes are akin to a brand-new operating system coming online in your energetic bodies, which will bring many many upgraded gifts with it such as….a greater efficiency with regards to cleaning out all old outdated beliefs that are no longer in alignment with the awakened Christos being that you truly are, an increase in efficiency with regards to alignment with the higher dimensional templates that are your inherent birthright, far greater levels of mental and emotional clarity, a shorter time distance between thought and manifestation, and an alignment with your multidimensional consciousness system that will enhance exponentially your psychic and telepathic abilities. This brand-new diamond encoded operating system brings with it far more gifts than we have scope for, to share in this article, but please know it is imperative that as many light workers as a possible join our beloved channel and the powerful core master circle whom are being instructed to gather on this date to act as the conduits for this light dispensation. The more awakened and awakening ones that gather on this day the more swift and a far reaching the effect of this upgrade will be. As we have shared before, these light dispensations will continue to increase in intensity as you all expanded further and further into alignment with your I Am Presence and this is why it is imperative that you have the support of an enlightened group to share your journey with. We are noticing such deeply profound shifts in the core group that we are referring to here, with many now coming into physical union with their beloved divine counterparts. Beloveds this is a wondrous side effect of being part of this high vibrational twin flame Ascension group however the main purpose will always be to deeply assist you to stabilise in awakened fifth dimensional consciousness, of which full reunion with your divine counterpart is an inevitable consequence. Please come forward and join your sacred energy during this solstice gateway, Come forward to receive these brand-new diamond codes that are set to be profoundly empowered by the timeline jump that recently took place during the 12:12 gateway, whereby the collective timeline jumped from one of separation to one of union. This timeline jump is ensuring that the implementation of the diamond codes will be extremely coherent and magnified for those of you who are on the frontline of the personal and planetary ascension trajectory. There are so many wonderous blessings that are aligning for many of you in the year 2017, which although, will be still rather intense energetically, there will be more and more moments of divine grace that will truly blow your heart open and cause your consciousness to awaken fully to the glorious multi dimensional avatar being that you have always been. Winter solstice in the northern hemisphere is a highly potent time energetically for gaia, with many of our brothers and sisters from outer planetary star systems coming very very close to the earthly plane, in order to add to their blissful frequencies with the light codes that are pouring in…..
Open your heart, your third eyes and your palms to receive these light particles and consciously breathe them into your physical, emotional and energetic bodies. You are never ever alone beloveds, your guardian angels are closer than you could possibly imagine. All is unfolding with meticulous precision with regards to your own ascension and your inevitable reunion on all planes of consciousness with your beloved divine vibrational counterpart. We urge you to focus on your blessings at these times and send out prayers of gratitude for all the gifts spirit bestows upon you, large and small. Remember fear is an imposter whose only purpose is to take your consciousness away from being aligned with the great gift that is the present moment. Stay present beloveds, this is the only way to lasting salvation. God's love is what guides you eternally and her glory can easily be located in the small still voice of your heart. place a microphone there to make this voice louder, and follow it, as though your last breath depended on it. You are more loved than you could ever know. 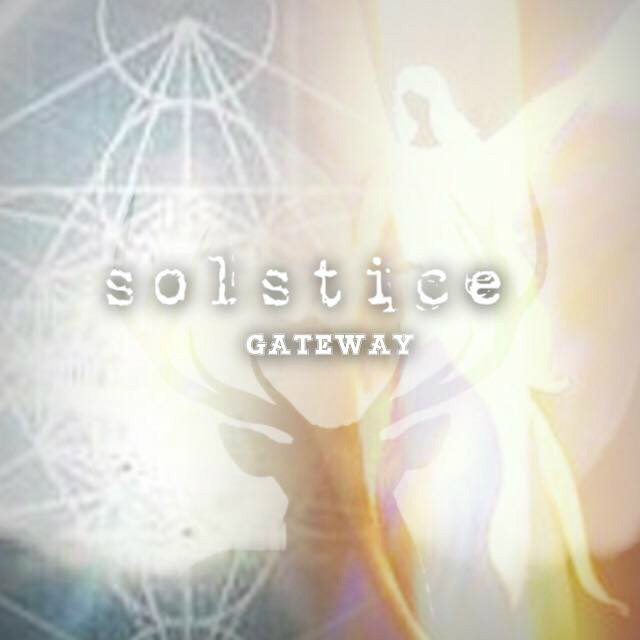 Please see below for full details of the solstice webinar transmission.